We put them together, reading from right to left, going over it again and again, first we form words, then sentences. Children learning their alef bet are about to enter a rich covenant of literature, liturgy and heritage. Perhaps to illustrate this our sages attributed a holiness to the letters of the Hebrew alphabet, saying that God created the world using these same letters. There’s some tradition surrounding using alphabet for creation and that once something is created, it can’t be destroyed so easily. Like Lego. Creation using letters has once again entered the public lexicon with the haunting rendition of Alef-Bet by the singer Victoria Hanna. The simple repetitive recitation of sound and vowel is hypnotic and mesmerizing. 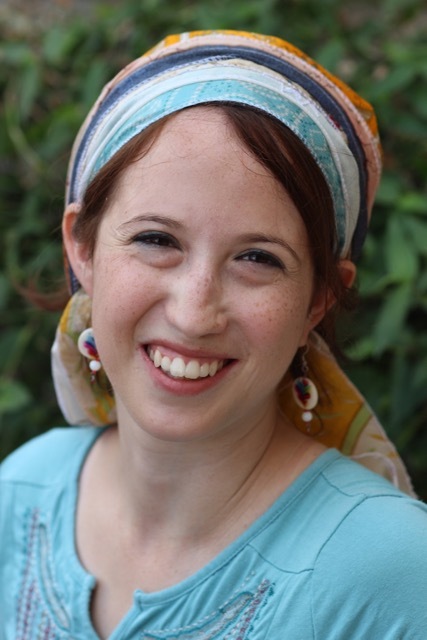 Hannah echoes kabbalistic interpretations, she believes that by mixing mantra and music she is stripping the original meaning from the phrases and then putting a different power back into it; creating something new altogether. Kind of like the tefillot and alef bet recitation you might get from the back of the car or your kid’s bath. It might be nonsense but it’s great nonsense that they’ve worked hard to acquire. It is said that the letter Bet was best suited to begin the Torah since it also starts the word Bracha, blessing. And then as if to illustrate a skirmish between siblings, we’re told that the overlooked older sibling Alef was instead well placed at the beginning of the Aseret Hadibrot, the Ten Commandments. Don’t you love the way our stories reflect the back seat of your car? Traditionally, the letters themselves were given simple, memorable significance, for example: alef bet stands for alef binah, learn your letters well and gain wisdom, binah in the process. Gimmel dalet stands for gemal dalim, i.e., showing kindness to the poor. That is, learn but never stay in your ivory tower of wisdom, use your intelligence to run after the poor and do some good. As kids we learned all sorts of songs and rhymes to remember these examples. 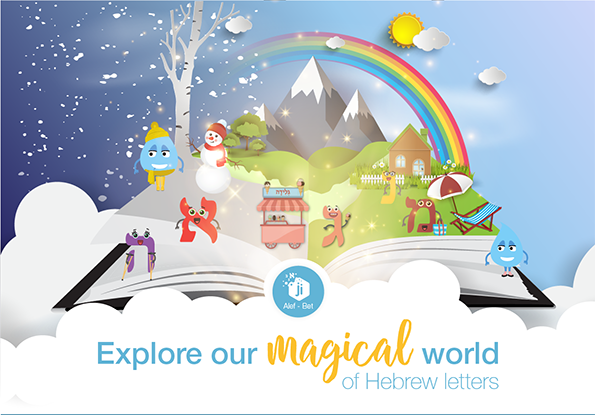 Ji Tap has combined our age-old tradition of anthropomorphic alef bet with modern teaching methods to bring you a magical pop-up “book” on Hebrew letters. Each letter gets its own animation where it interacts with our oh-so-sensible Kivi, our series guide. (See our blog “Who is Kivi” to find out why we named him Kivi.) 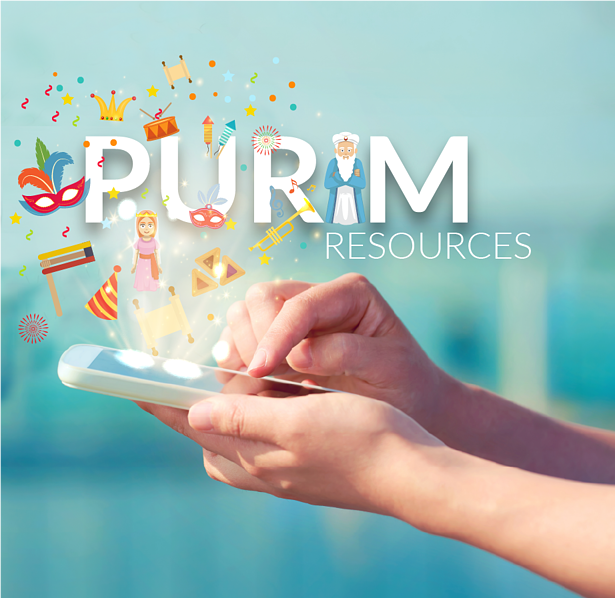 There are activities, puzzles, reading exercises and simple Hebrew word repetition. By the time your child gets to Tav he could be familiar with 170 new Hebrew words which he can use to create new sentences. Download the flash cards of the words and create your own word-building games. You can even choose from an American English or British English series to guide your child along the cutest path to the 22 letters that create worlds of prose and praise every day.